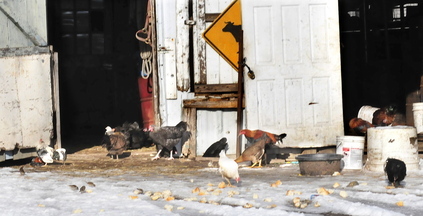 The town’s code enforcement officer says he is hopeful the farmer will correct the problem before town officials take enforcement action against him. SMITHFIELD — Residents of a section of Village Road in Smithfield say they are overrun by rats from a neighboring pig farm and fear that the problem will be difficult to fix. 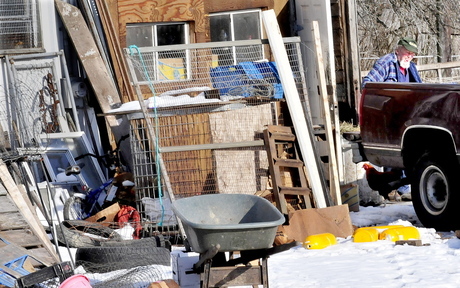 The town’s code enforcement officer, meanwhile, says he is hopeful the pig farmer will correct the problem before town officials take enforcement action against him. Resident Andrew Landry, 41, has videos on his cellphone showing rats fleeing from his mother’s chicken coop. 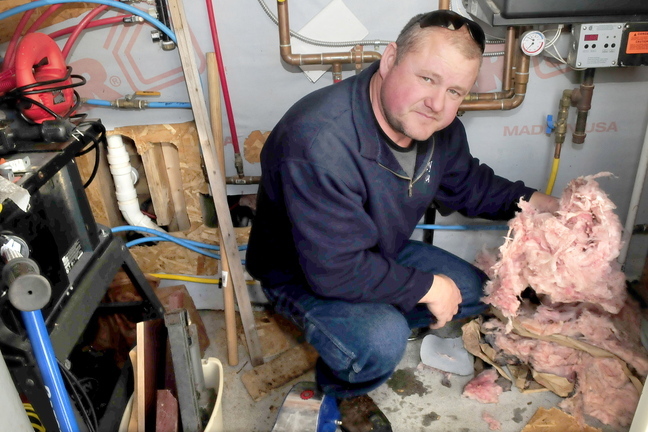 He said rats have chewed through plastic water lines, insulation and walls and threaten his mother’s radiant heating system, which was installed in the slab that makes up the base of the floor of the home. “One night we lost count at 70 coming out of my little 6-by-8 chicken coop. I was petrified,” said Landry’s mother, Jean Mosher. Mosher said the rats also entered her house through the vent to her clothes dryer. 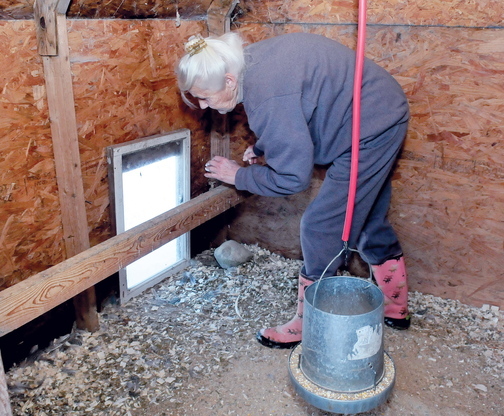 Andy Marble, Smithfield’s code enforcement officer, said when he and Sue Lacroix, the town health officer, visited the farm of Nelson “Bill” Mitchell on Nov. 20, he saw 20 or 30 rats. Marble said Mitchell has assured him that he has he has begun setting out poison to kill the rats and will reduce the amount of spoiled food he receives to clean the place up. Landry and his mother, who have been a neighbor of Mitchell’s for decades, said the rats come from a scattering of his single-story farm buildings next door. Landry said Mitchell keeps 20 to 30 pigs and receives damaged and expired produce, bread and canned foods from a food bank, all of which is fed to the animals. The spoiled food also has provided the rats with a place to feed and breed, he said. He said the rats are breeding fast and that when he shoots one with his shotgun, the others feed on the carcass. At Mitchell’s main barn on Wednesday, there were several 5-gallon buckets filled with food next to a pile of opened cans and empty produce boxes. Mitchell, 71, who was working in the barn, refused to comment. Bertha Keyser, who lives at the same address as Mitchell, said by phone later in the day that the problem is being fixed. Landry said the damage done by the rats and the potential for health and public safety problems really are a big deal. He said his family includes three children — two 11-year-olds and a 9-year-old. Landry said he went to a selectmen’s meeting in November to get started on some direct action. Matthew Randall, agricultural compliance supervisor at the state Department of Agriculture, Conservation and Forestry said in a Dec. 2 memo to Smithfield town officials that he visited Mitchell on Nov. 27 but was not allowed onto the property to conduct an inspection. In his letter to the town, Randall said Mitchell assured him he intends to set traps for the rats and already has reduced the number of animals he keeps. Randall also wrote that Mitchell told him that he takes the leftover garbage to the transfer station to help keep the place clean. He said Mitchell’s small operation does not meet the income threshold for state rules under the Agriculture Compliance Program. Randall said he did not see any rats from the road as he drove by the farm. He could not be reached by phone Wednesday for comment. 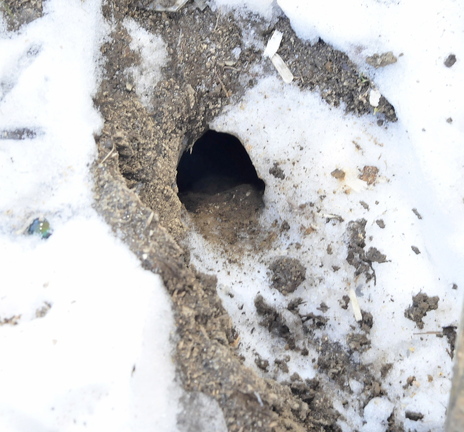 Landry said the rat problem has slowed in recent days because of the snow and colder temperatures and because Mitchell brought home a new load of food. He worries that when that food runs out, the rats will venture back onto his family’s property in search of something to eat. Marble, the town code enforcement officer, said he told Mitchell that he will check his property once a week to make sure he is putting out rat poison and cleaning up the food debris. If he doesn’t comply, Marble said, the town has the authority to have it cleaned up without his consent and give the bill to Mitchell by putting a special tax on his property, or they can take it to court. “He’s willing to clean it up. He’s shown that he’s trying,” Marble said.